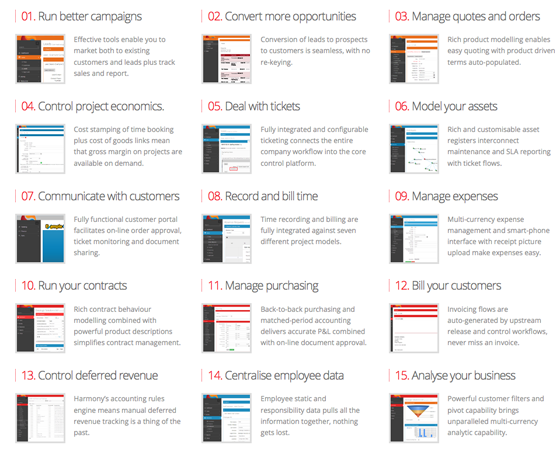 Fortunately, there’s an answer to this problem: all-in-one business management tools. These solutions come loaded with everything you need in one neat package, removing integration worries from the equation entirely. Even better, these tools live online so you can use them from anywhere and never need to worry about upgrades, hardware or backups because the vendor manages all that. If you’re looking for a solution that’ll help you manage your back office, and often your front as well, then here are our picks of the best business management tools for small business. These solutions cover everything from customer relationship management (CRM) to invoicing, collaboration and support. 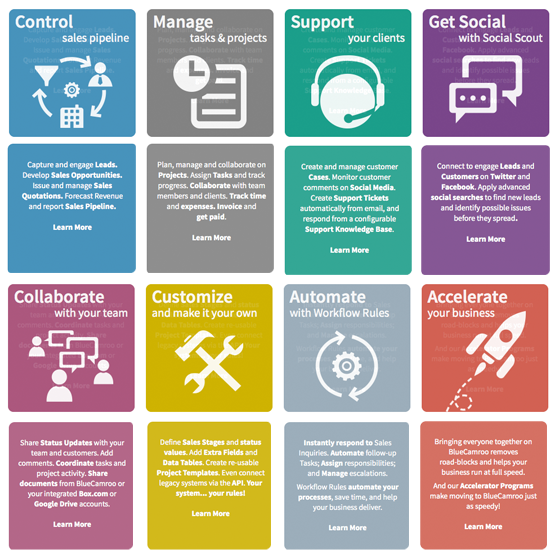 If you’re looking for a solid solution that you can customize, this is the list for you. That said, before you dive in, check the third section because that one deals with specific types of businesses and those solutions might suite your needs better. 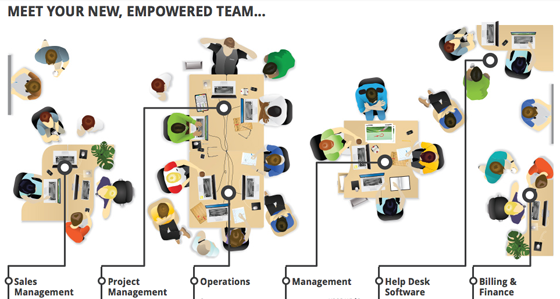 Founded in 2009, WORKetc was one of the pioneers in the all-in-one business management tools. Over the years, this solution has grown and matured until it can handle your back office, and even some customer-facing activities such as a help desk, with ease. The fully featured Blue Camroo is chock full of all the functionality your small business will need. One outstanding feature is its ability to integrate social media both for tracking as well as for your help desk. As you might expect from the name, Sellsy focuses on sales, but that’s not all it does. Unlike many of the other solutions in this list, you can use Sellsy to build and manage a website that’s fully integrated with your back end. They even have a “Rental” management feature that enables you to track availability and returns of rented items. At first glance, Bitrix may seem to be a simple CRM, but they’ve included a lot of business management features such as invoicing, human resources, sales and even online meetings. The best part? Their basic level of service is free! 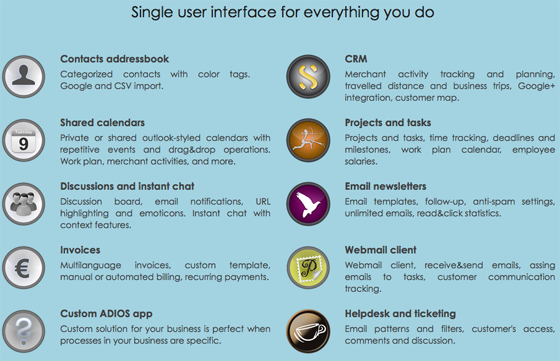 ADIOS offers an all-in-one business suite that offers just about everything you need. One nice feature is their “buy-only-what-you-need” pricing tool. 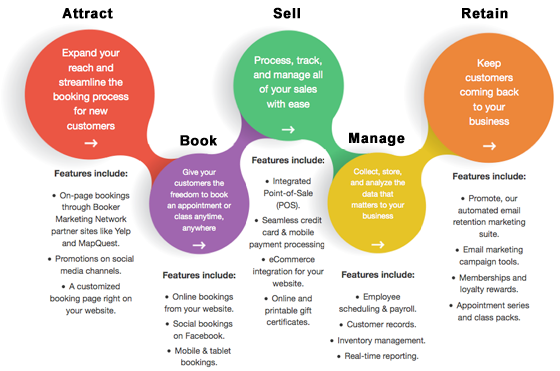 1CRM is another online business management tool that calls itself a CRM but offers so much more. They offer marketing automation, a feature that’s not present in most all-in-one solutions. ExxpertApps shows its European roots in its ability to handle multi everything (country, language, time zone and currency). If you have an international customer base, you should take a look at their solution. Last but not least, kpi.com is a full-featured online business management solution that offers tons of functionality to the small and medium sized business. If you run a service or trade business, then the solutions in this section were created to make your life easier. There are a lot of top-tier tools in this selection so take your time to find the one that fits your business best. Before you dive in however, check the next section because that one deals with specific types of businesses and those solutions might suite your needs better. No matter what your trade, YourTradeBase has you covered from A to Z. This is a robust but easy-to-use solution and one that many types of trade businesses can use. Don’t let the name fool you because mHelpDesk offers much more then help desk functionality to service businesses. This is a robust and highly-rated tool so take some time to check it out. 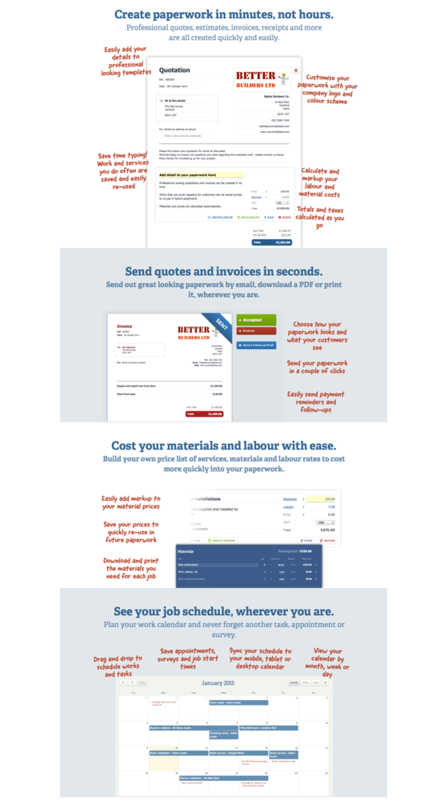 Jobber is perfect for service businesses. One standout feature is GPS tracking which enables you to keep an eye on your staff in the field. 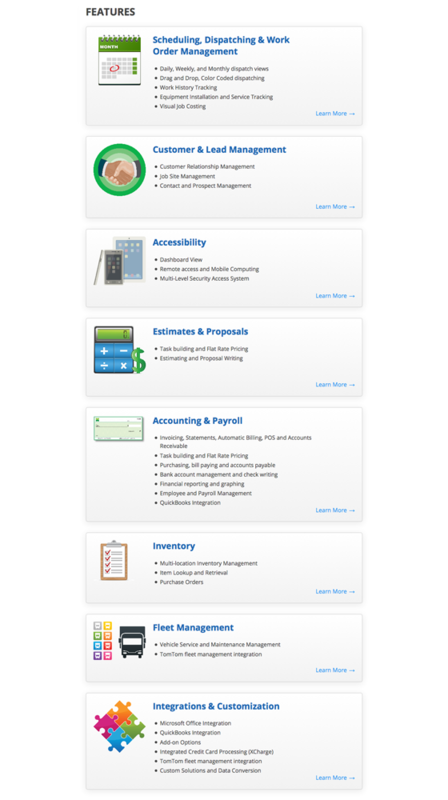 If you’re looking for the most popular service business management solution, thenWintac is the one. Their robust solution contains everything you need to run your service business smoothly. While all the tools on this list enable you to manage your small business, this section lists solutions that are already tailored to specific types of businesses. 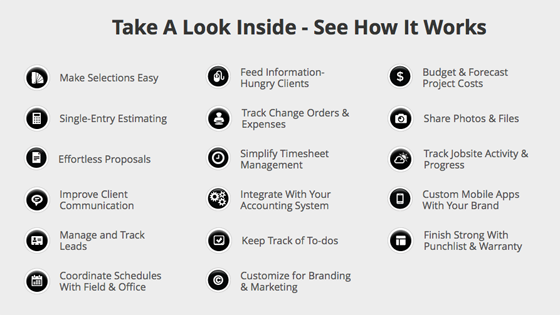 If your business matches one of the types listed below, then you can use one of these tools to hit the ground running. Running an auto shop can be complex which is why you should check out Boss Shop Pro. Not only does this solution help you keep track of the hundreds of parts and details you deal with everyday, it also integrates seamlessly with solutions such as Carfax, Epicor and Edmunds. 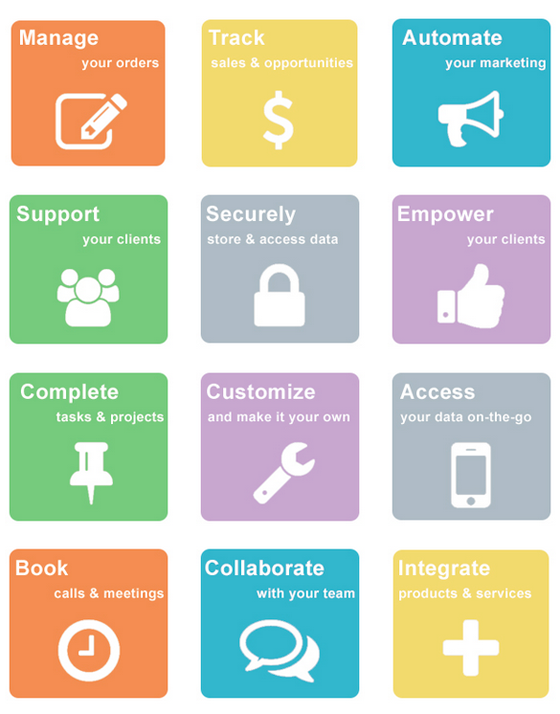 Manage your salon like a pro with Phorest, a solution built for salon owners. 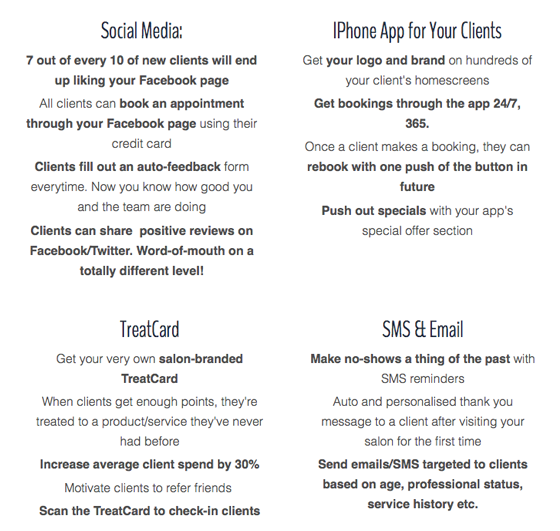 Aside from point-of-sale processing and stock management, this solution offers a number of features you can use to market your salon while building, and retaining, your clientele. 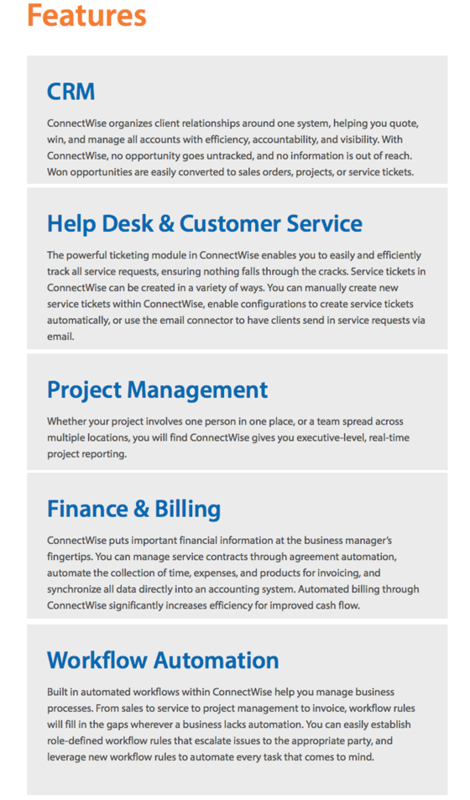 If you run an IT consulting firm, then you’re going to want to check outConnectWise. This solution has everything you need to stay on top of your client’s needs while running your back-office successfully. If your business develops, sells and maintains hardware and software, then you need to take a look at HarmonyPSA. Designed from the top down for companies that deal in technology products and services, their robust offering has everything you might need. 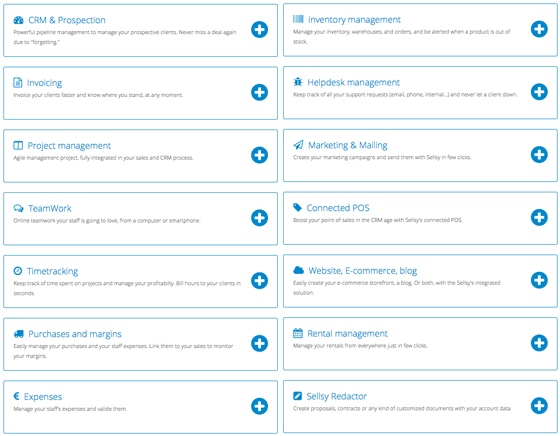 OfficeBooks is the tool you need when you’re managing the many parts of distribution and manufacturing. From inventory control to sales/quotes, purchase orders, contact management and reports, you’ll find a lot to like in this solution. In the end, an all-in-one business management tool will help you spend more time working in your business rather than working on your business and that’s a good thing.